Service is our leading product. Founded in 1996 and serving all of Lancaster County - Lancaster Door Service sells, installs, and repairs Garage Doors and Garage Door Openers. We also sell and install Entry Doors, Storm Doors, Cellar Doors, Patio Doors, Replacement Windows, Bay Windows, Bow Windows, and Garden Windows. Our team can give you personalized advice during your purchase, an installation that meets the highest industry standards, and unequaled after-sales service thanks to our maintenance and repair program. We perform professional installation of Garaga® Garage Doors and we provide reliable maintenance and replacement services for almost all brands of Garage Doors, Garage Door Openers, and Garage Door Operator parts for quality brands such as Chamberlain Liftmaster®, Hörmann®, Craftsman®, Allstar®, Genie®, Linear®, and Multi-Code by Linear®. We are also your local dealer and installer of ProVia® brand residential Entrance Doors, Storm Doors, and Patio Doors - as well as BILCO® Basement Areaway Doors for flat foundations or sloped masonry entrances. Our offerings include quality Sliding Glass Patio Doors, Specialty Windows, and Replacement Windows by Provia®. The Lancaster Door Service team of technicians are career professionals who take pride in every job that they do and are ready to serve you! 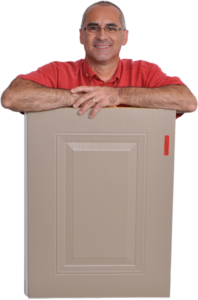 Kevin Weems began working in the garage door industry in the mid-1980’s. Since that first day, he knew that this was the job for him. After almost ten years of working in the industry, Kevin and his wife, Lisa started Lancaster Door Service in 1996. With a service truck, an in-home office, a shop, and a "bag phone" - they worked diligently with a dedication to customer service. The business flourished with an acquired loyal customer base and their small business became a larger small business! In 2009, they purchased the sales and installation division of Lancaster Building Supply, a company which was established in 1958 and was located along the Manheim Pike. With a track record of over 150,000 window installations in Lancaster County, the addition of Lancaster Building Supply has been a perfect fit with Lancaster Door Service. 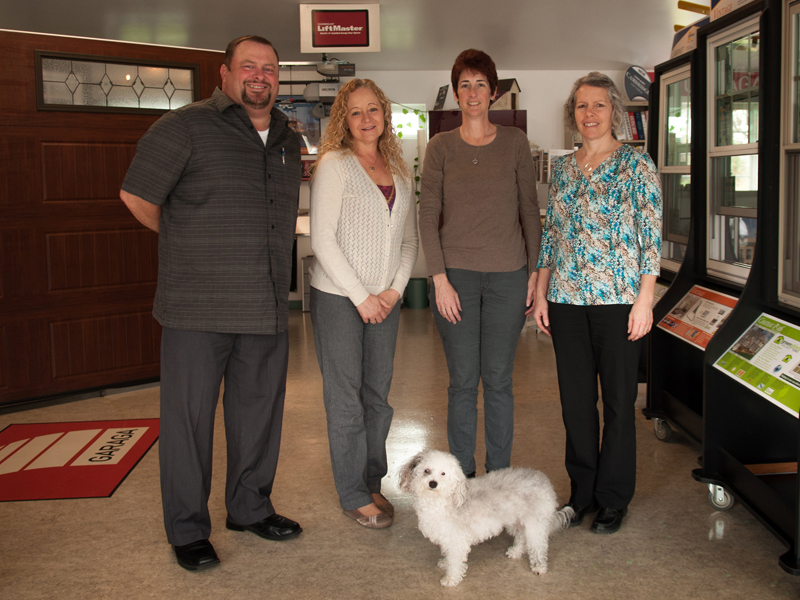 Together, the two businesses have the ability to provide solutions for all of your door and window needs. Kevin and Lisa are very thankful for all of their customers and employees who have trusted their business and have helped them to grow their dream. In 2009, Lancaster Door Service, LLC and Lancaster Building Supply merged in order to better serve all of Lancaster County's door and window needs. Since 1958, Lancaster Building Supply has provided quality building products and exceptional customer service. Together, we offer the best in Replacement Windows and Entry Doors. Our quality wood, aluminum clad, and vinyl fusion-welded Replacement Windows include Double-Hung, Bay, Bow, Garden, Casement, and Specialty Shapes. With the multitude of residential steel, fiberglass, and wood Entrance Doors that we offer – we also sell and install Storm Doors, Cellar Doors, and Patio Doors. Combined with our complete line of residential and commercial Garage Doors and Openers, we have something for just about every business building and home! Lancaster Building Supply has provided quality products and excellence in customer service to Lancaster County residents. Lancaster Door Service began selling and servicing garage doors and garage door openers in Lancaster County, Pennsylvania. Lancaster Door Service, LLC and Lancaster Building Supply merged in order to better service all of Lancaster County's door and window needs. We service all of Lancaster County, Pennsylvania. Employment opportunities arise from time to time. If you possess a team-player attitude and would contribute to the success of our company as well as your personal goals, we would be happy to hear from you. LANCASTER DOOR SERVICE LLC IS AN EQUAL OPPORTUNITY EMPLOYER. WE EMPLOY SOME OF THE MOST SKILLED, DEDICATED, AND COMMITTED PROFESSIONALS IN THE BUSINESS. Have a question or need help getting started on your project? We're here to help answer all your Garage Door & Opener questions.